A raven found stranded and unable to fly has been given a new lease on life, thanks to a remarkable procedure to her fix her damaged wings. The bird was first spotted with her mate last spring near a parking lot in Richmond, Va. by passerby Maureen Bergin, who noticed the raven seemed to be having a difficult time flying. She continued to keep an eye out for the raven, only to see her condition steadily worsen. After three months, it looked as though the bird could no longer fly at all, reports the Times-Dispatch. At first, the raven's mate was seen bringing his flightless partner scraps of food to keep her alive, but Bergin knew that even with the assistance, the bird might not survive long on the ground. So, she got in contact with wildlife officials who helped round up the bird and take her to the Wildlife Center of Virginia where she could get the help she needed. 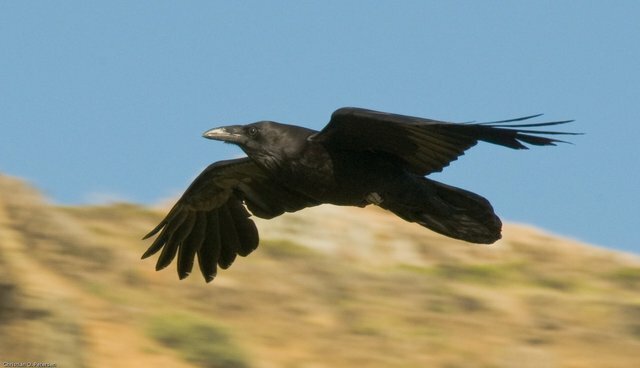 Veterinarians at the center quickly discovered that the raven had lost several feathers on her wings that are essential for flight and was suffering from a condition affecting her skin. "Tests showed that mites were present on the raven, which would cause the bird's extreme feather loss. 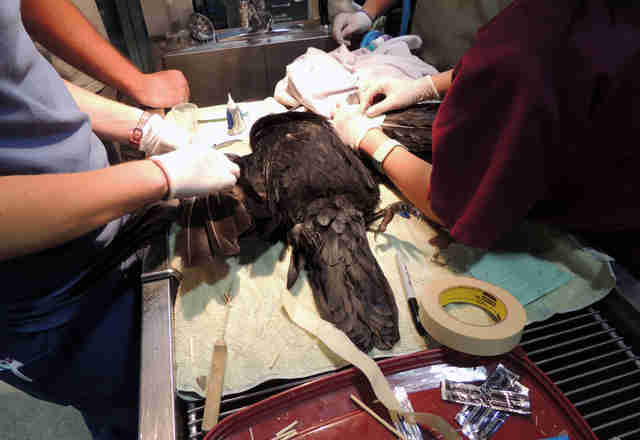 The veterinary staff treated the bird with an anti-parasitic and administered an anti-inflammatory to treat the skin condition," writes the Wildlife Center. Although the treatment was successful in wiping out the mites, the raven couldn't be returned into the wild given the state of her feathers, which would take some time to grow back. "Besides being necessary for flight, feathers serve as part of a bird's thermoregulation (control of their body temperature) and protection from the elements," the center writes. "For these reasons, a bird cannot be released into the wild with insufficient feather coverage." So, last month veterinarians opted to perform a special procedure to help speed the bird's release - a feather transplant. 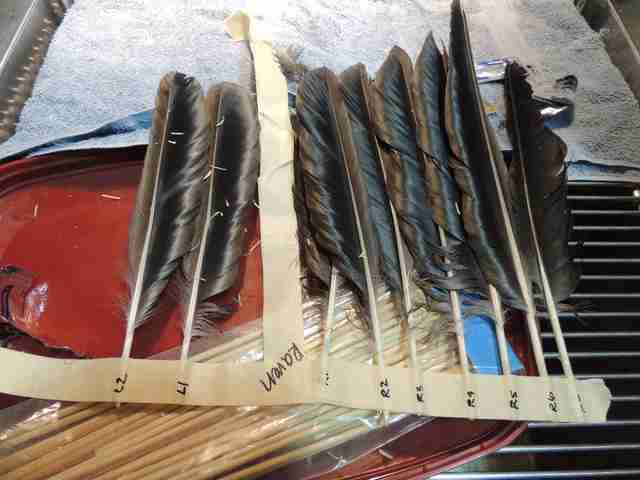 The center writes that although a couple of the feathers ultimately fell out, the transplant was a success nonetheless. Two weeks later, the bird is flying once again, and should soon be well on her way to going home. 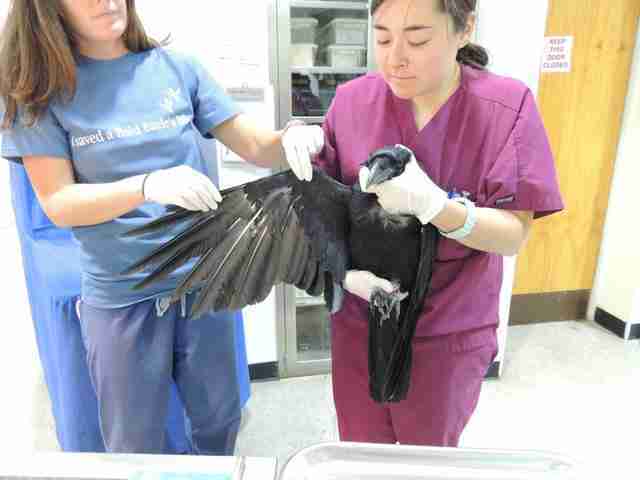 "[The raven] is doing very well after having several feathers imped in September. The bird lost two of the feathers that were imped last month, but she is flying well." The bird has since been moved to a larger enclosure to build her strength. She is expected to be released next month. Imping is a relatively rare procedure, says Amanda Nicholson from the Wildlife Center, but it can make all the difference for birds who might otherwise stay grounded because of problems with their wing feathers. "We probably imp about two or three birds a year," Nicholson tells The Dodo. "Fortunately, we're not required to do it often. It certainly can be useful though when their feathers are such that imping is a good option."